March madness has taken over the country – at the water cooler, on TVs and computer screens, and at universities across the nation. But to make March more than just a month of college basketball games, the National Collegiate Athletic Association's (NCAA) PR and media relations team is promoting local community events that are taking place from April 3-5 in Detroit, the host city for the Final Four. The NCAA communications staff is working with the Detroit Local Organizing Committee (DLOC) to do on-the-ground outreach to raise awareness about the Big Dance concert and other events. Internally, the communications team is split into two divisions: an overall NCAA public and media relations (PMR) team and a specific men's basketball media coordination team. The NCAA, despite being founded in 1906, didn't have a separate public and media relations function until about 11 years ago, Wynne adds. The division has been growing ever since. For March Madness, Wynne and his 13-person PMR team work with David Worlock, associate director for the Division 1 Men's Basketball Championship, and the media coordination team of 18 that handles credentialing, press conferences, and interviews for key players in the NCAA Tournament. Demand is high for Michael Slive, chairman of the NCAA Tournament Selection Committee, as well as coaches and student-athletes. The Final Four has grown from a straightforward basketball tournament into an entire weekend of events and activities in the local community, Worlock says. To bolster its efforts this year, the NCAA is working with the DLOC and a PR committee led by Kurt Kosmowski, owner of The Kosmowski Group, who is “our eyes and ears on the ground,” Wynne says. 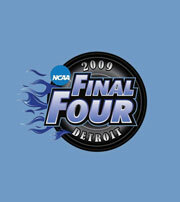 Marx Layne PR also assists the NCAA with media relations for Final Four weekend events. Kosmowski says the DLOC uses a mix of traditional media relations and grassroots outreach to spread the word about the programs and activities associated with college basketball's big weekend. The Final Four also has a Web site, in addition to March Madness On Demand, where fans can watch games online. Another NCAA message point is making sure academics are emphasized as much as athletics. The organization has PSAs reminding sports fans that “there are more than 400,000 student-athletes and most of them will go pro in something other than sports.” That message is reinforced through local events, such as the Middle School Madness Essay and Poster Contest in Detroit this year. While the NCAA and DLOC's focus is mainly local, there is still no denying that March Madness is a nationwide event. “On a national scale, [the games] are going to be on CBS and [the network] starts promoting them early,” Wynne says of the broadcast partner for all NCAA Tournament men's basketball games. “In terms of games, we feel like [PR for] that is taken care of.